Radio Shack's "explore the haunted house" game. Seems to be slightly less common than some of the other TRS-80 adventures. Radio Shack packaged their game cassettes in plastic bags with large manuals (8.5" x 11"), but no outer box. The holes punched in the manual are an "enhancement" made by the previous owner, for easier storage in a 3-ring binder. 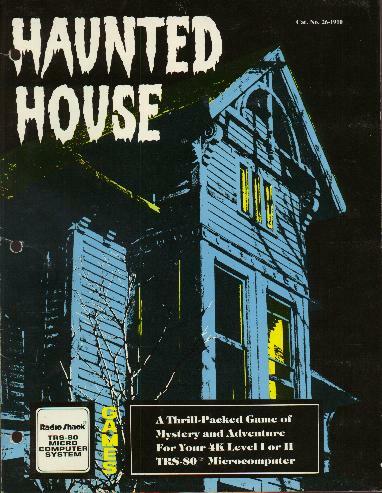 Compared to Radio Shack's other adventures, Haunted House is a bit sparse documentation-wise. Its "manual" is just a paperboard folder with the instructions printed on the inside. All of the other TRS-80 adventures have an 8-12 page manual.